Dawn Service - ANZAC 2015 Cumnock, 100yr centenary. 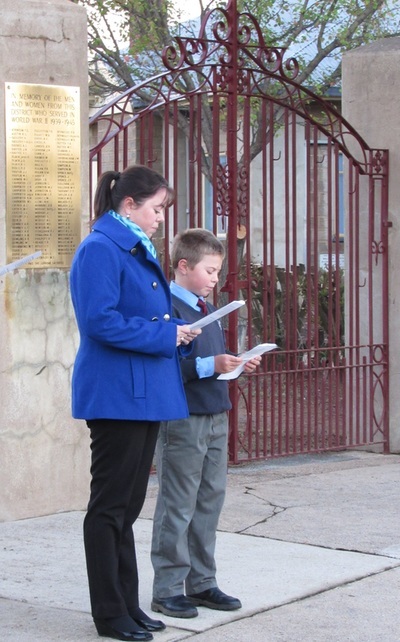 Kelly & Nicholas Gibson at Cumnock Dawn Service reading "Rememberance" poem, ANZAC Day 2015. 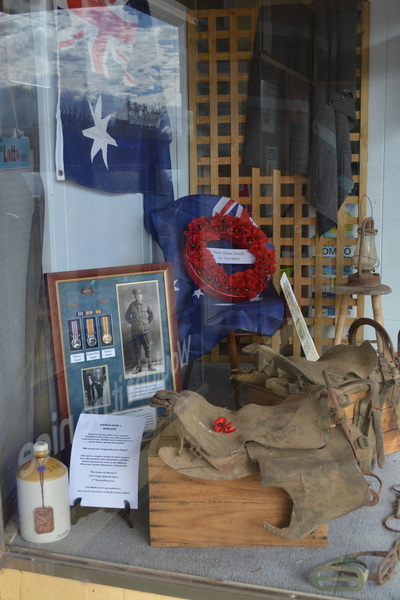 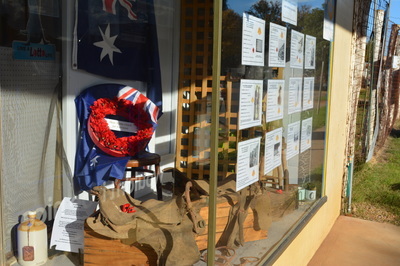 Cumnock General Store ANZAC 2015 window display. 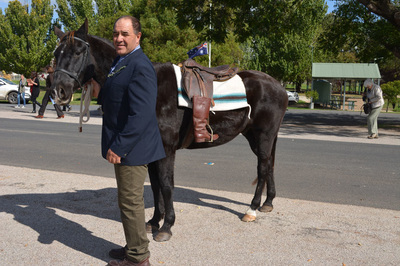 Scott Reynolds with 'Tadpole', horse which led Cumnock Anzac Day march, 2015. Cumnock Public School ANZAC Day March 2015. 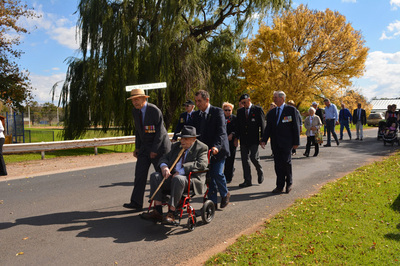 Veterans, Anzac Day March Cumnock 2015. 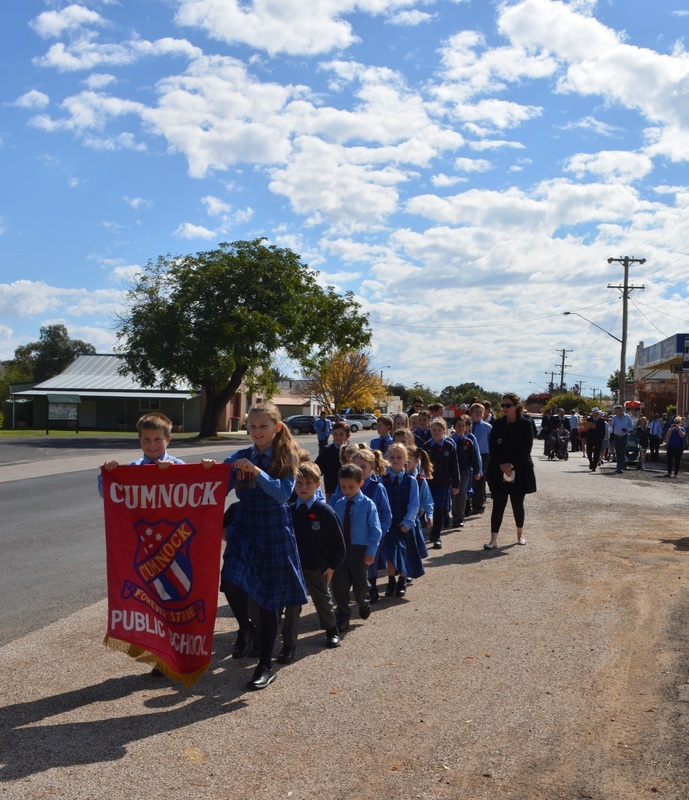 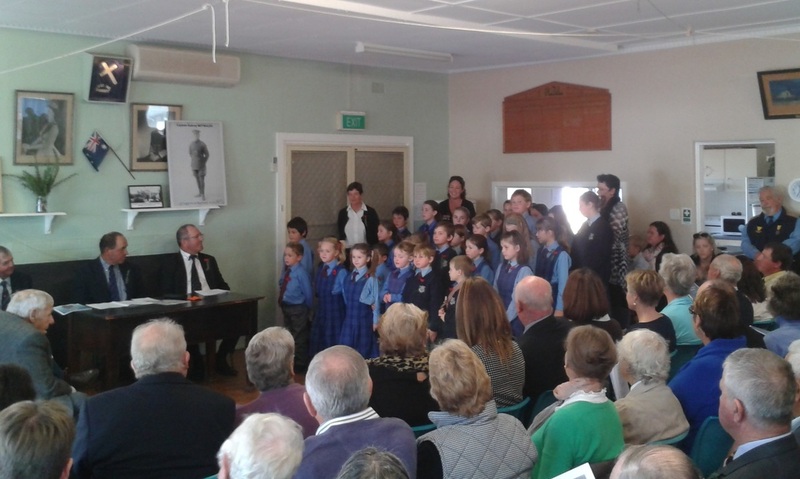 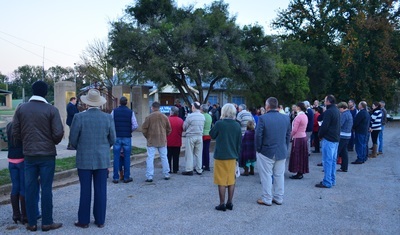 Cumnock Public School during Commemoration Ceremony, Memorial Hall, ANZAC Day 2015. 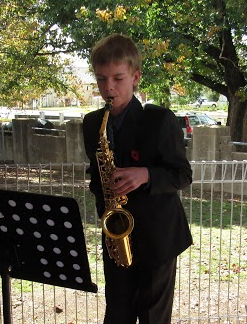 Leigh Brown, playing 'Last Post' & 'Reveille', Cumnock ANZAC DAY 2015. Ross & Scott Reynolds wreath laying ceremony, ANZAC Day 2015. Ross Reynolds paid tribute to his grandfather, Captain Aubrey Reynolds at the Cumnock Commemoration Ceremony. 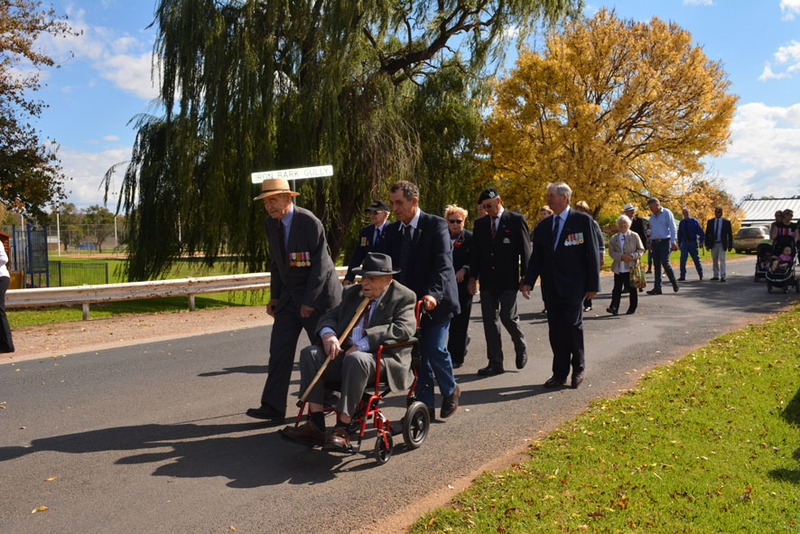 The Reynolds family, Anzac Day 2015. 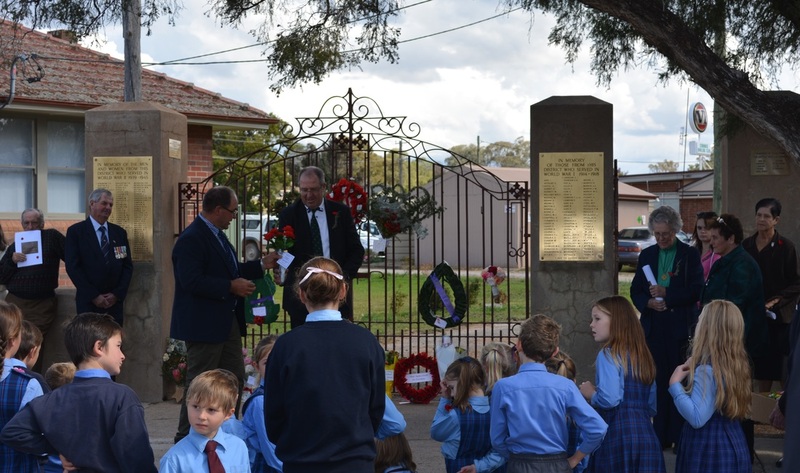 Aubrey & Marguerite Reynolds donated the Memorial Gates in 1954. 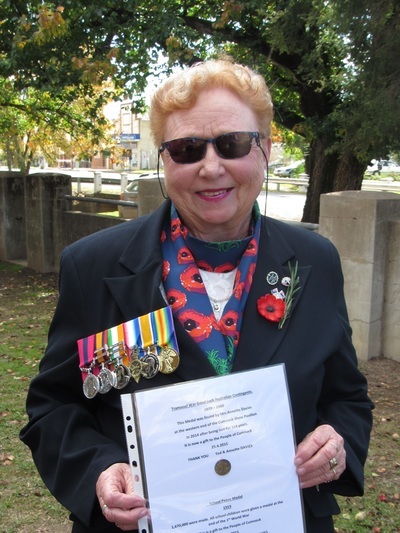 Mrs Marion Pearson, granddaughter of L/Cpl Charles GRIMSON, DCM WW1. 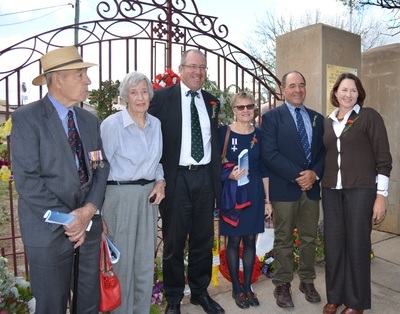 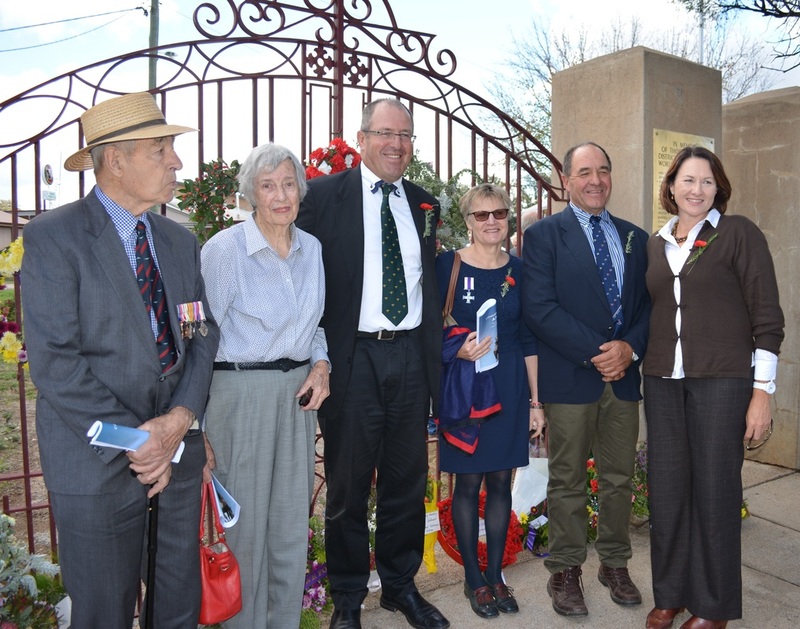 ANZAC Day Cumnock, 2015.